PLEASANTON, CA--(Marketwired - December 14, 2015) - Visioneer has introduced an all-in-one portable scanner and software bundle for people who need to rapidly and reliably scan, organize, and share documents and printed material from anywhere they work or travel. The new Visioneer RoadWarrior™ Pro Bundle LE, priced under $70, is an efficient and affordable scanning solution that empowers busy professionals to digitize all types of paperwork, including receipts, business cards, IDs, documents, forms, news clippings and photographs. 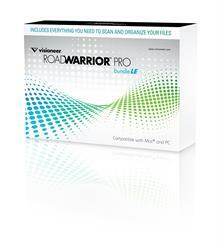 The RoadWarrior Pro Bundle LE includes a software suite and drivers that enable documents to be rapidly captured, organized and shared. 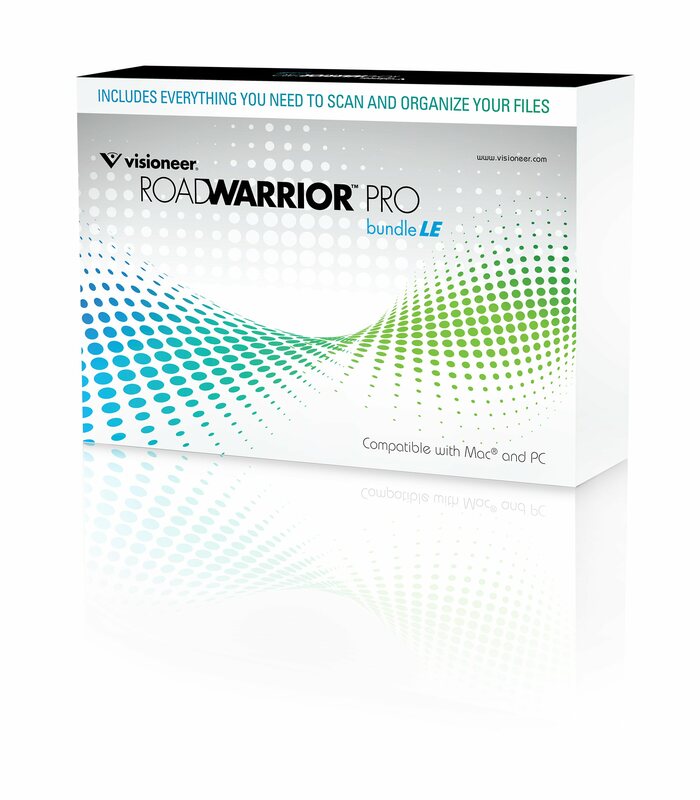 The Visioneer RoadWarrior Pro Bundle LE is an ideal solution for realtors, tax preparers, commercial drivers, sales professionals or any mobile office environment. The scanner, lightweight at 13.4 oz., with a small 11-1/2" x 2-1/4" footprint, delivers sharp, high-resolution results in color or black and white. Power is delivered through a computer USB connection, so no AC power is required. "We believe that if your job involves a PC or Mac, you'll wonder how you ever got work done without this productivity tool," said Jim Tamo, senior VP of sales and marketing at Visioneer. "This bundle is a truly unbeatable value combining proven, road-tested hardware with the industry's most popular, most preferred software." To enhance the quality of the scans, the bundle includes Visioneer OneTouch® with Acuity, which enables the scanner to instantly improve the visual clarity of the scan, auto-crop, auto-straighten and auto-rotate, all with the touch of a button. With Nuance® OmniPage, PaperPort and PDF Converter, organizing and sharing have never been easier. The mobile scanner is compatible with Pentium® 4 or equivalent processors, current Windows® operating systems and Mac OS® X v10.6 or later. The scanner handles any documents up to 8.5" (216 mm) wide and 32" (813 mm) long and convert to PDF, JPG and most popular file formats. The RoadWarrior Pro Bundle LE is priced at $69.99 and is available immediately through online channel partners and resellers. For more information, please visit http://www.visioneer.com. NOTE TO EDITORS: XEROX®, XEROX and Design®, and DocuMate® are trademarks of, or licensed to Xerox in the United States and/or other countries. Visioneer® and OneTouch® are trademarks of Visioneer, Inc. Visioneer RoadWarrior™ is a trademark of Visioneer, Inc. Nuance, OmniPage® and PaperPort® are trademarks of Nuance Communications, Inc. or its affiliates in the United States and/or other countries. TWAIN™ is a trademark of TWAIN Working Group. All other companies and products mentioned may be trademarks of their respective holdings and are hereby recognized. Prices, features, specifications, capabilities, appearance and availability of Visioneer and Xerox products and services are subject to change without notice.